Search the indicated locations to find all 322 collectibles (50 Letters From Home, 50 Letters To Home, 50 Last Letters, 75 Misc Documents, 27 Sniper Reports, 40 Duty Rosters, and 30 Deadeye Targets). The two Co-Op Overwatch missions also contain collectibles and are required for the achievements. None of the collectibles are missable. You can collect missing items at any time using mission select. There is a collectible counter for each mission which displays how many items of each type you have found. All collectibles are saved automatically when you obtain them. Thus, you can return to the title screen without having to reach the next checkpoint, and you do not have to collect them again if you die. A lot of letters, documents, sniper reports, and all duty rosters are dropped by enemies. When looking at them through the binoculars, it will usually show if they have a collectible item. You can also see their name through the binoculars — so compare with the name in the video to find the right person. Or simply kill everyone and loot the corpses. Some of the collectibles are not from enemies and actually hidden throughout the game. Deadeye Targets look like eagle statues and you must shoot them down. To get the “Dirty Tactics” achievement, you must place an explosive on a dead body (anything except Stick grenades work). When an enemy comes to investigate, it will explode and you will get the achievement. Either carry the dead body and drop it where enemies can see it, or throw some stones to lure them. In Mission 6: Magazzeno Facility, loot a “spotter” enemy to get a flare gun. They always have one. One spotter is found very early in the mission. Look between the first few buildings on the left side, very shortly after the mission begins. He is in front of a building. When you mark him with the binoculars, it will say that he is a spotter and carrying a flare gun. Kill him and loot the body. Then, go to the following location. Just stick to the road and throw stones to distract enemies while getting to the location. Once you are at the location, climb the two yellow pipes on the right, at the top of the stairs, to reach an area by the large satellite dish with 5-7 enemies standing all in one spot, talking to each other. Shoot the flare gun at them and wait for the artillery to hit to get the “Fire And Brimstone” achievement. If you are detected, they may run off — so stay stealthy. The flare gun has two modes “Targeted” and “Distributed”. For this spot, “Targeted” is easier to use because the enemies are so close together and it is more precise. Create a manual save before using the flare gun — so you can try again in case something goes wrong. Shoot an enemy in the foot with the Welrod pistol (or another weak pistol/rifle). Sometimes this will make them fall down. Then, move close to them, take out the sniper rifle, and shoot between their legs to get “The Nutcracker – Sweet!” achievement. One area this can easily be done is in Mission 8: Allagra Fortress. The enemies in this mission have more health and do not die so quickly by your pistol shots, giving you more attempts to incapacitate them. You can do this with the first two enemies in the mission. After incapacitating the enemy, you may want to create a manual save game — just in case the testicle shot goes wrong you can reload and try again. At the very end of Mission 8: Allagra Fortress, you have to destroy a plane. Instead of shooting the engine, wait for the plane to take off and for the enemy to say “Open the missile hatch!”, then shoot the missile it is carrying (under the plane). The missile will explode and destroy the plane, resulting in a cutscene and the achievement unlocking. 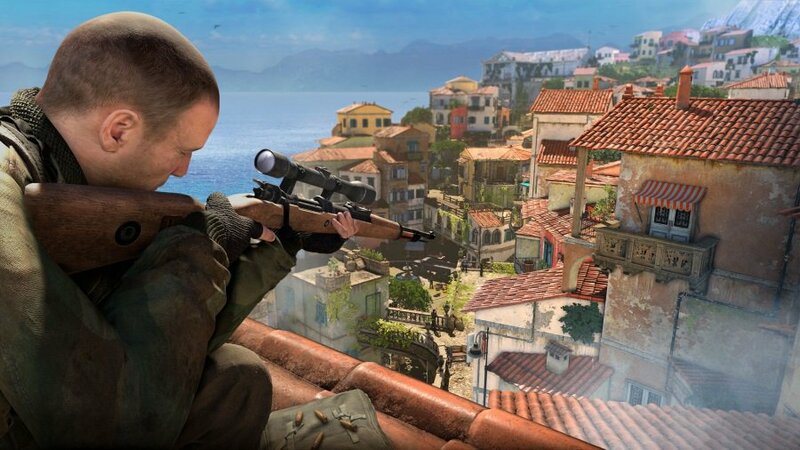 Note: You must use a bolt-action sniper rifle. All sniper rifles except the Gewehr 43 and M1 are bolt-action. The M1903 Springfield that is unlocked from the beginning is also bolt-action. The end of the beginning: Complete Mission 1.We shall fight on the beaches: Complete Mission 2.No compromise is possible: Complete Mission 3.Set Europe ablaze! : Complete Mission 4.We shall not fail or falter: Complete Mission 5.Never, never, never give up: Complete Mission 6.Plans are nothing, planning is everything: Complete Mission 7.Success is not final: Complete Mission 8.Compounding Your Success: Complete Overwatch 1.Train, Set, and Match: Complete Overwatch 2.A Most Singular Expert: Master a single weapon.The Pistol Pro: 100 Kills with a Pistol.The Secondary Specialist: 250 Kills with a Secondary Weapon.Rockin’ the Rifle: 500 Kills with a Rifle.I See You! : Fully Target Focus 100 times.Everything by Halves: Complete 50% of all Secondary Objectives in the Main Campaign.Following Orders: Complete all Secondary Objectives in the Main Campaign.Keeping Your Distance: Total kill distance of 100 Kilometers.Ambush King: Kill 100 enemies with traps.Are You Insane? 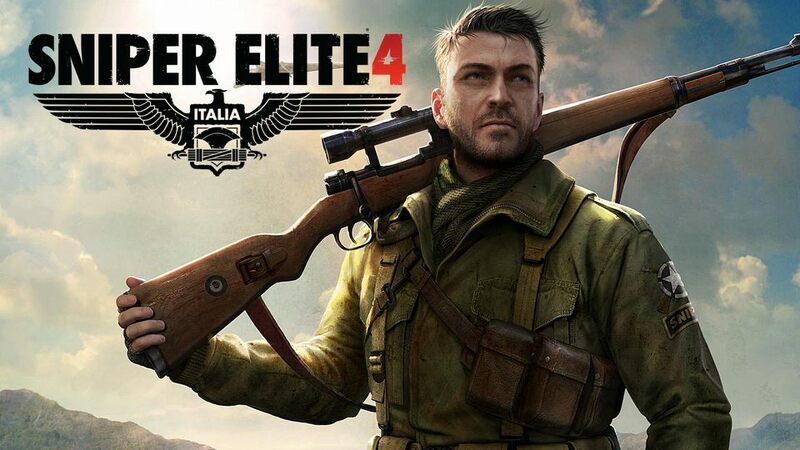 : Complete the entire main campaign on Authentic difficulty.The Real Deal: Complete the entire main campaign on Sniper Elite difficulty.The Masterful Marksman: Complete the entire main campaign on Marksman difficulty.Mission Possible: Complete the entire main campaign on Cadet difficulty.The Nutcracker – Sweet! : Incapacitate an enemy, then shoot them in the testicles.The Organ Grinder: Get at least one kill shot on every organ.Dirty Tactics: Kill an enemy via a booby trap.Demolition Fan: Satchel Charge 25 manned vehicles/pillboxes/pantherturms.Fire and Brimstone: Kill 5 enemies with a single artillery strike.Sniper, Interrupted: Kill 5 Snipers before they see you.Mother Knows Best: Complete all Mother Hen missions in the main game.Weaver’s Warrior: Complete all OSS Secondary Objectives in the Main Campaign.Challenge Accepted: Complete all challenges in a single mission.Variety is the Spice of Death: Get a kill with every weapon.Silent But Deadly: Kill 100 enemies with suppressed ammo.Still Ain’t Got Time to Bleed: Complete a single player mission without using a Medikit or Bandage.On Yer Head, Son: Kill 3 enemies with environmental drop kills.My Rifle is My Best Friend: Complete the main campaign mission with rifle kills only.The Collector: Collect all Last Letters, Letters From Home, and Letters To Home in the main game.Master-At-Arms: Fully master a rifle, secondary weapon, and pistol.A Bird in the Hand…: Shoot all Stone eagles.Greatest Hits: Find all Sniper Reports.Dogface: Reach character rank 5.Jarhead: Reach character rank 25.Veteran: Reach character rank 50.Gotta Cap ’em All: Kill one of each infantry type.Survival of the Fittest: Complete all waves in a survival session.Competitive Nature: Complete at least one match in each mode.Channel Changer: Take control of the enemy held the radio and capture it with just seconds remaining.The Best of the Best of the Best: Complete the entire main campaign on Authentic difficulty with no manual saves.The Path of Most Resistance: Destroy the plane using a Bolt-Action Rifle. Target Führer: Albert Hall: Kill the Dictator with a testicle shot.Hot Pot: Kill Hitler with the casserole.Minesweeper: Blow up Hitler on VIP boat with a sea mine.STRIKE!! : Kill Hitler with a torpedo rack.The Eagle Has Landed: Crush Hitler with the Eagle at the ceremony.Total War: Complete all challenges.Down Periscope: Kill Hitler with the submarine.Target Führer: 0 Days Without Incident: Kill Hitler with any explosive item/trap.Silent but Violent: Kill Hitler and exfiltrate without being detected.Base Desires: Complete all Optional Objectives and destroy the base.Final Reckoning: Complete the Mission.Deja View to a Kill: Kill Hitler.